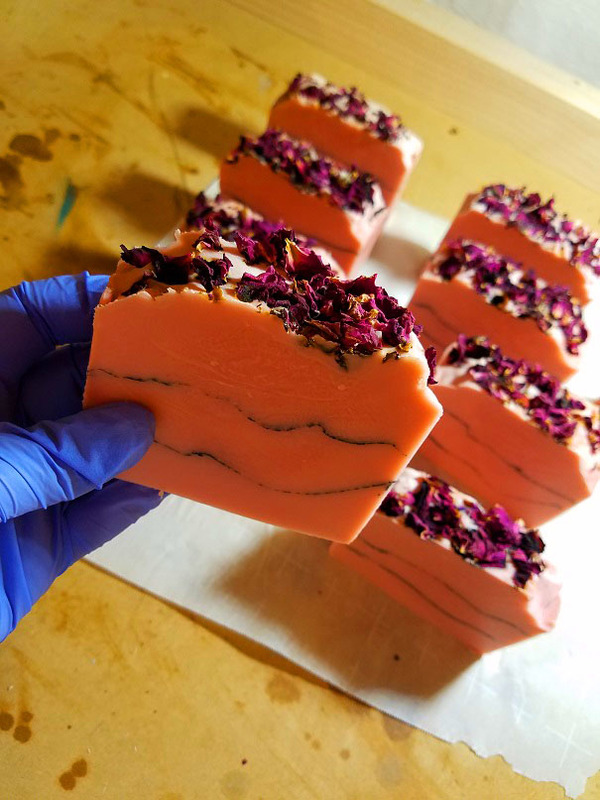 Yesterday, I unmolded and cut some Rose Clay and Charcoal soap that turned out gorgeously! In fact, this is probably the very first soap that I've made where I haven't had some sort of unexpected result or hiccup. I even planned for the fragrance oil to accelerate, but it behaved beautifully. I'm so proud! 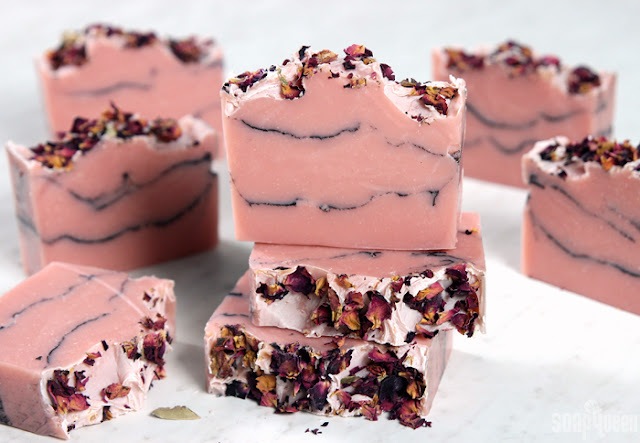 I think it looks exactly like the beautiful examples from Soapqueen, which is where the inspiration came from. 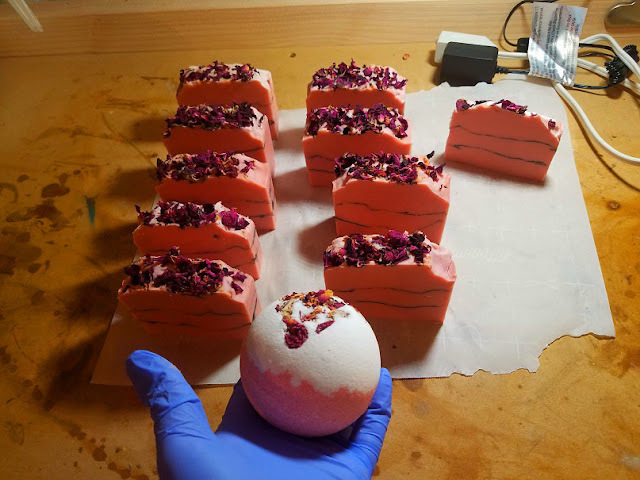 I tweaked their recipe to account my own "Old Faithful" recipe, as well as using a FO blend that matches my Rose Bombs. They smell OUTTA THIS WORLD! 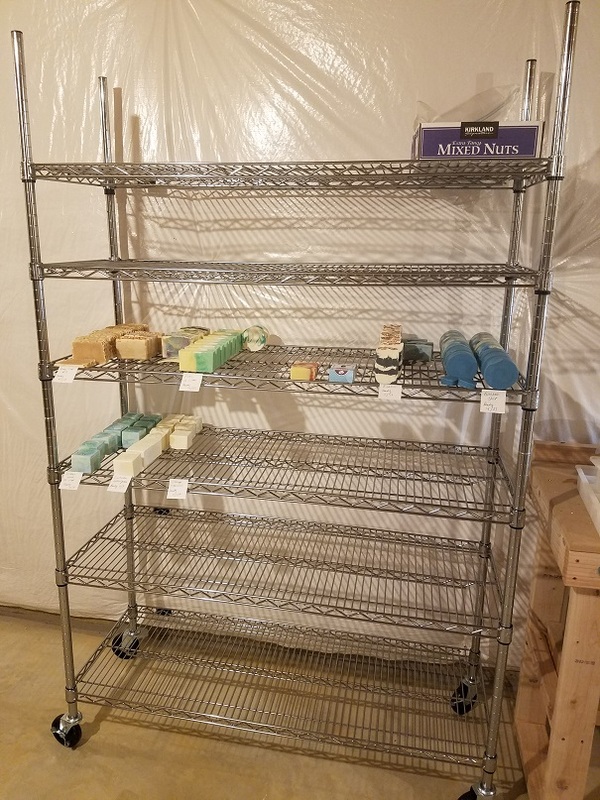 I've found that it has taken me about 10 batches of soap (at least for me) under my wing to get my "groove on," but even still, things like additives, temperatures, and fragrance and essential oils can make soap behave badly. 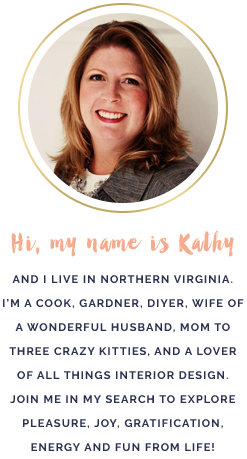 You just never know until you try it and keep notes on what worked and what didn't. 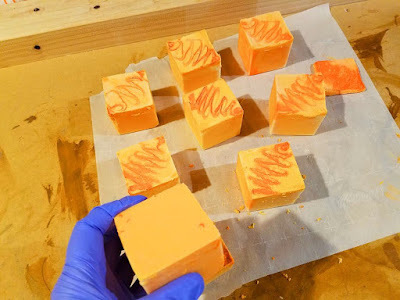 In the other corner, I made a batch of Orange Patchouli Castille Olive Oil soap where I was pouring the batter into the molds and realized that I had forgot to add the essential oils! ACK! What to do? Well, I then just portioned out the EO into each of the molds and stirred each cavity until incorporated and hoped for the best. In other good news, I bought my first soap drying rack from Cosco...it won't be long till I fill it up with curing soap!